Virtual security can be threatened in various ways, and IstDownload.net is an adware server which could be employed as a backdoor for malware infiltration. As malware researchers have discovered, the server presents misleading advertisements, installation offers and other suggestions. However, this advertising domain would not be active unless advertisement supported software (adware) was installed onto the computer. Note that adware can be camouflaged as beneficial browser extensions, which is why you need to be extra careful when installing any software. Click the download button below to install a free malware scanner which will let you know if there are any programs that you need to delete. Needless to say, you should remove IstDownload.net adware if it is detected. Similarly to F1ash-p1ayer.us or This Content Requires Media Player 12.7 pop-ups, IstDownload.net ads are meant to trick you into thinking that you need to update your Java, FLV or Flash software. If you need updates, you can install them from official websites. You certainly should not think that banner and pop-up warnings indicating the supposedly necessary updates are authentic. 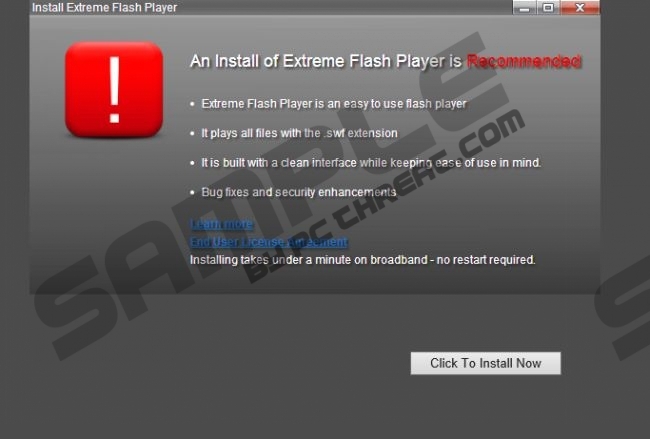 If you do not recognize a scam and install the promoted software/updates, you can expect a number of unreliable programs installed onto the PC. As malware researchers have discovered, the IstDownload.net can offer software bundled with VoPackage, Clicknmark, Safe-web, Fralimbo, SaveClicker, Conduit search tools and other undesirable programs. You cannot trust them if you are not sure how they work. In some cases IstDownload.net installers may be relatively transparent with the additionally bundled programs, and you may be given the opportunity to refuse or accept the presented software. Of course, some applications could enter the operating system silently without any of your notice. If malware was installed onto the computer silently as well, your virtual security could be put at serious risk. Do you want this? Malware researchers indicate that you need to remove undesirable software to prevent potential private data collection, adware or rogue security software attacks. Use the manual removal instructions below to delete IstDownload.net adware related programs. As you can imagine, not all undesirable applications will be as easily removed as others. Therefore, we also recommend utilizing a reliable security tool to ensure that all remaining threats are removed automatically. We advise employing the SpyHunter anti-malware because it is set to delete even most clandestine infections running on the Windows operating system. Double-click Add or Remove programs to find the installed applications. Open the Start menu from the Task Bar at the bottom of the desktop. Now right-click the program you wish to delete and click Uninstall. Quick & tested solution for IstDownload.net removal.